If you’re a speed nut that needs the blood pumping and the octane levels high, then shoot over to the Highlands Motorsport Park in Cromwell for the annual NZ's Premier Championship Motorsport Series from the 12 - 13 January 2019. Supporting rev heads everywhere, SpeedWorks are the patrons of the event, showcasing their apex event International Castrol Toyota Racing Series. This will be the first time it’s been seen for 4 years at Highlands! 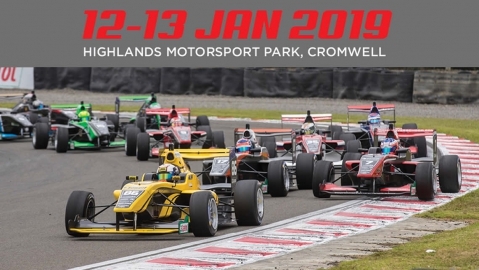 This Championship event promises to be one of the most thrilling motorsport events in the region, demonstrating major racing categories on a world class track.